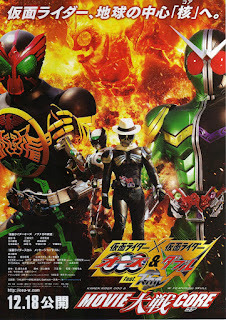 Kamen Rider × Kamen Rider OOO & W Featuring Skull: Movie War Core Sub Indo Film. 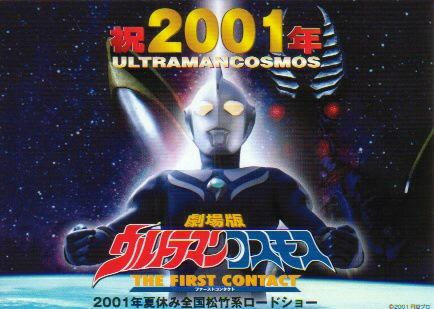 Having obtained the most intense Kamen Rider battles in the Memory Memory, the male Pteranodon Yummy is caught off guard when the black Core Medals appear and combine with the Gaia Memory into the giant Kamen Rider Core, much to Akiko’s horror as Eiji saves her. 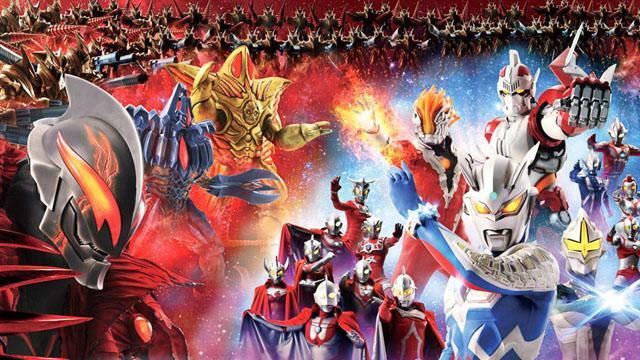 As Eiji assures Akiko that her father had his reasons for being a Kamen Rider, Kamen Rider Core begins to destroy the area as Kamen Riders OOO and W team up to fight the enemy. However, Kamen Rider Core proves too powerful and the two go underground to destroy the Gaia Memory’s source of power to even the odds. Kamen Rider Double CycloneJokerXtreme and Kamen Rider OOO Latorartar Combo manage to outrun Kamen Rider Core and discover a giant crystal near the Earth’s core – the source of Kamen Rider Core’s power. Back on the surface, Ryu persuades Akiko to allow him to become Kamen Rider Accel to protect her from the Pteranodon Yummy before Shintaro Goto arrives as Kamen Rider Birth and backs up Accel in destroying the Yummy. 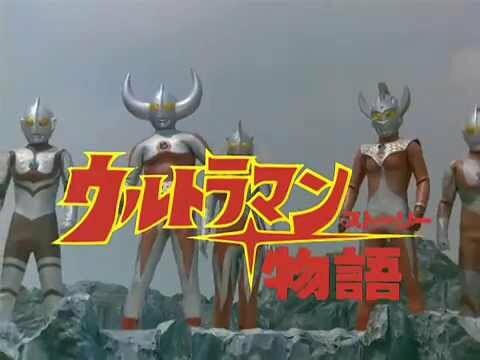 Back underground, after Ankh shows up, which disturbs Shotaro, the Kamen Riders manage to destroy the crystal which only angers Kamen Rider Core. 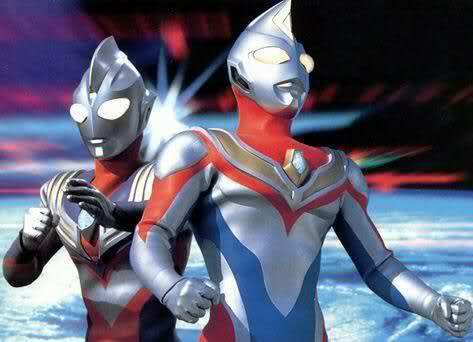 The two Kamen Riders call him a mockery of what a Kamen Rider truly is. Ankh gives Kamen Rider OOO the Medals required to transform into Tajadol Combo, and the resulting wind from the transformation allows Kamen Rider W to transform into CycloneJokerGoldXtreme. The two Kamen Riders execute a combination Prominence Drop and Golden Xtreme Double Rider Kick that destroys Kamen Rider Core and shatters his core components. 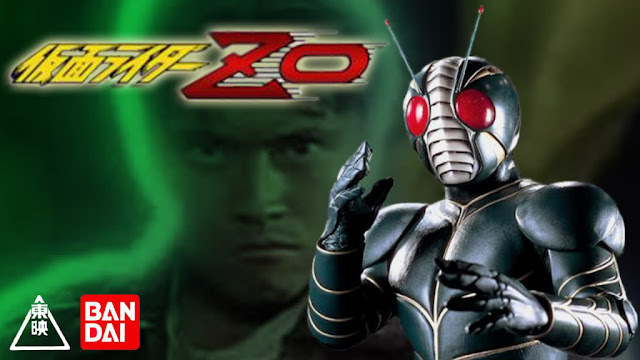 With a renewed sense of faith in the Kamen Riders, Akiko and the others hurry to her wedding while Eiji finds himself in Rio de Janeiro where Chiyoko Shiraishi just happens to be on vacation. At the wedding, Akiko discovers that Melissa is attending, and learns that Sokichi asked her to take his place at the wedding as he knew he can never see his own daughter again, while pulling his sleeve up revealing that the Spider Bomb didn’t die with the Dopant. With that knowledge in mind, and her father with her in spirit, Akiko’s marriage to Ryu goes without any hitch. Some time after, Eiji and Chiyoko return to Japan to show Hina the items they got from their short time in Brazil.